You can count on this wooden bead set to make a bold statement! The variety of these dramatic bead shapes, their bold colors and two extra-long laces make stringing beads extra special. 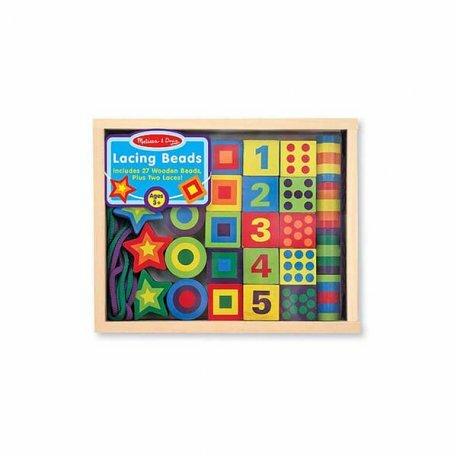 Twenty-seven hand-painted beads feature 1 – 10 as numerals and as countable dots to add counting fun to this lacing activity.